Vitambi Springs is within a two hour drive to 11 million South Florida residents and Florida's Treasure Coast and Gold Coast stretching from Jupiter Island to Miami and about the same distance to Florida's Southwest coast from Naples north through Ft. Myers up to Sarasota. We are so close . . . yet safari away. 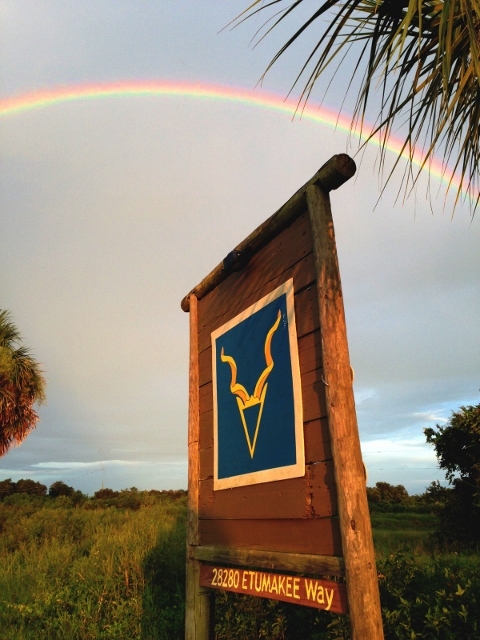 While there's always a rainbow over Vitambi Springs, it may be easier to spot the sign out front.